When you are caring for an Alzheimer’s patient, you need all the help you can get. Because of the necessity for extreme hands on care, one person simply cannot do it alone. Our family understands that all too well. It takes a village as my sister, Alena would say to take care of any ill family member, but all too often it is hard to put that village together. This last year, the village involved in caring for my mother-in-law, who has Alzheimer’s, grew by one very important member. My mother-in-law’s sister, Margee retired from her job and offered to help when we needed to leave my mother-in-law home for any reason. Margee sits with my mother-in-law when I need to take my father-in-law to the doctor or if he needs time to get away for a little bit. 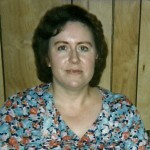 And when he was in the hospital for a few days recently, Margee played a major role in her sister’s care. We would have been in a very serious situation without her help. Margee is no stranger to stepping up when she is needed. Her own daughter-in-law died a little over 13 years ago, leaving behind a grieving husband, Margee’s son Dan and two small children, Zech and Stasi, who needed care. Margee stepped up and cared for them all. It was a terribly sad time in their lives. Margee was virtually alone for parts of it, while Dan worked in another state. The kids are almost grown up now, and Dan is working back here in Casper, but they still need each other very much. Caregiving or helping to raise one’s grandchildren, can be very challenging, and it takes a special kind of person to do it. Margee has been such a blessing to us. As my mother-in-law’s Alzheimer’s has progressed, I don’t know how we could manage the needs of both her and my father-in-law, who has Emphysema, if we didn’t have Margee’s help. She is free during the day, when the doctors appointments are, and she doesn’t mind helping out. I know my mother-in-law enjoys the time with her sister too, though she doesn’t remember the visits once they are over. Still, we know, and we remind my mother-in-law…and we appreciate it very much. Today is Margee’s birthday. I want to thank her for her dedicated service to her sister and brother-in-law at a time in their lives when they truly needed her help. That is love. I don’t know what we would have done without Margee…and I can’t say enough about how wonderful she has been. Thank you Margee for all you do and who you are. You mean so much to all of us. Happy birthday!! We love you! !